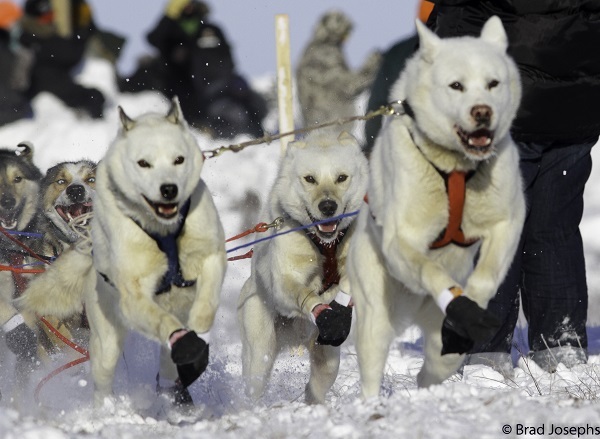 The Hudson's Bay Quest sled dog race got cancelled this year. This is an annual event that has been going since 2004 but, without a railway service to Churchill, it was a little tough to get all the dogs and equipment in place. 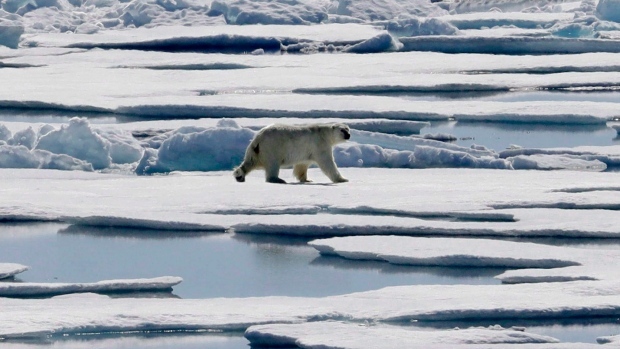 Another nail in the coffin of lost opportunity for Churchill Manitoba. 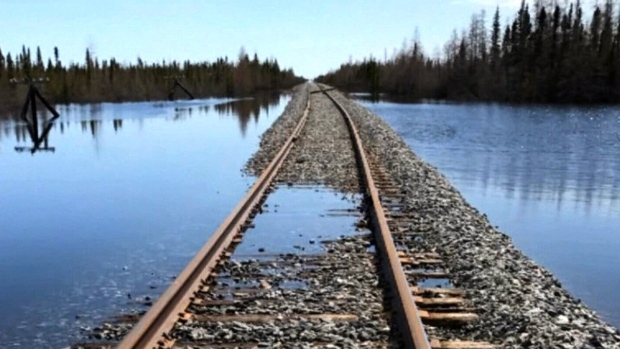 Neither the government or the railway company have dealt with the washed out tracks from the winter of 2017 and the town of Churchill continues to sit in limbo as it waits for the politics and lawsuits to eventually decide things. 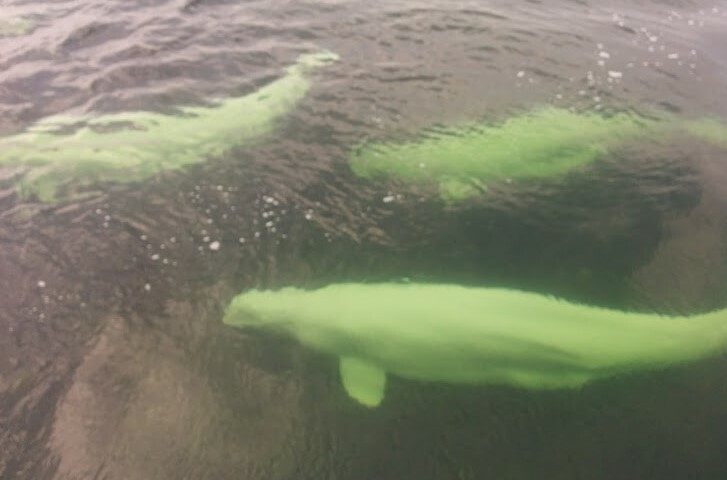 Tourism of course has been down as well for the polar bear and beluga whale viewing. But worst of all is the shutdown of the port itself. 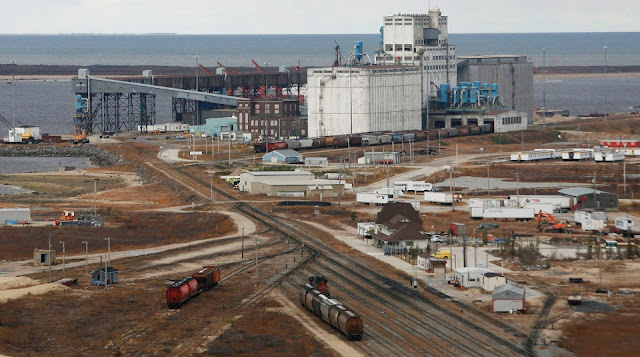 Located on the shores of Hudson Bay the Port has never been able to live up to its full potential in spite of being operational since 1929 when the railway link to Winnipeg and the Port itself were completed. This is mainly because of ice which covers the Bay half the year but with global warming this could gradually change. 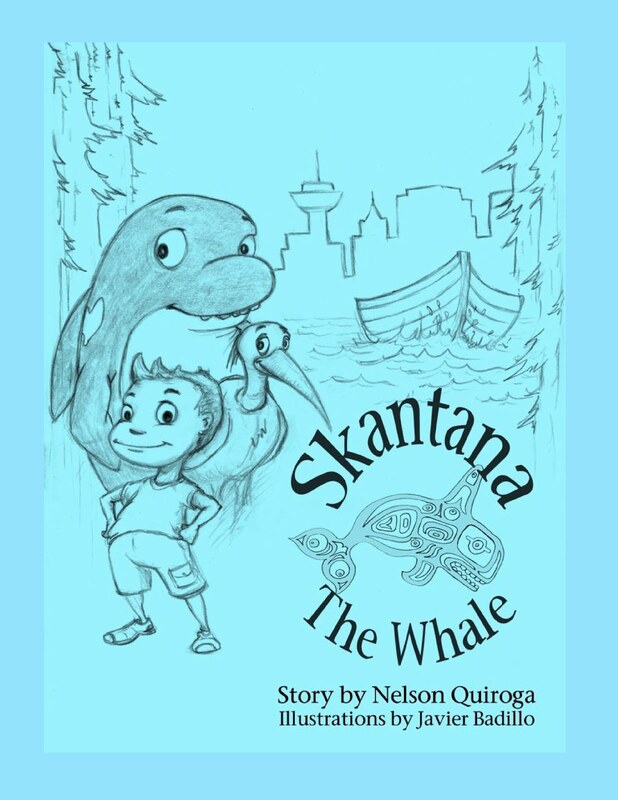 While primarily an alternative outlet for the grain farmers, it could also be more effectively utilized as a staging post for supplying the communities of Nunavut and a conduit for Western oil & gas exports. 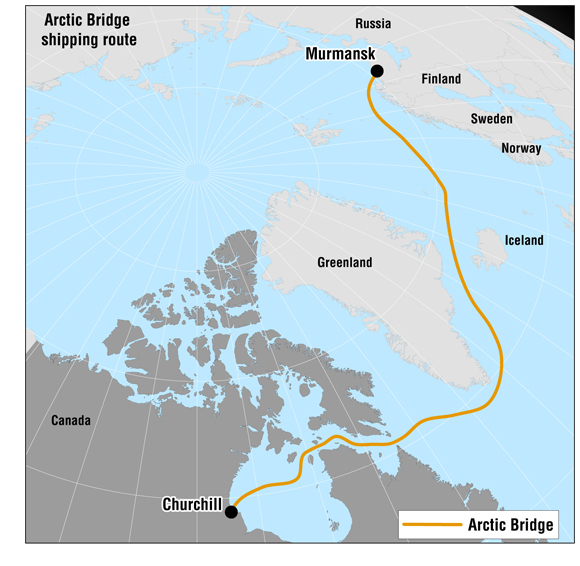 Even more interesting and exciting would be the establishment of an Arctic Bridge between Churchill and Murmansk in Russia which is connected by rail to St. Petersburg and the rest of Europe. Ships would travel between the two ports for at least 6 months of the year aided by icebreakers that, in the case of Canada at least, would be based out of Churchill as part of our commitment to establishing a permanent and viable Arctic presence. For now it's all talk and pipe dreams. The ice comes and goes every winter and spring and everyone has to make the best of whatever opportunity presents itself. But whether you are a husky dog, a polar bear or the Town of Churchill it would be nice to finally break on through the impasse. If there is one defining feature of the North country, other than ice & snow, it's undoubtedly the Northern Lights, more properly referred to as the Aurora Borealis. Occurring year round, though not really visible around the summer solstice or when it's cloudy, this magical night time display will always take your breath away no matter how many times they are viewed. And no two nights are ever the same either. It was a perfectly clear night when we arrived at the viewing station and the Aurora started as soon as it was dark. Driving out of town to get away from any streetlight we were quickly overwhelmed by the display that shimmered and danced across the heavens with incredible speed. Constantly shifting shape, as if an unseen hand was stirring up a cosmic light show, we never knew where to look from one moment to the next. Overwhelmed by our incredible good fortune we spent over 4 hours in the cold night air (minus 20 Fahrenheit) watching in stunned admiration as the mostly green light kept changing the night sky. Luckily we were dressed for the occasion in specially designed thermal clothing, but was nice to get back to our hotel where we fell fast asleep after taking in all the fresh night air. 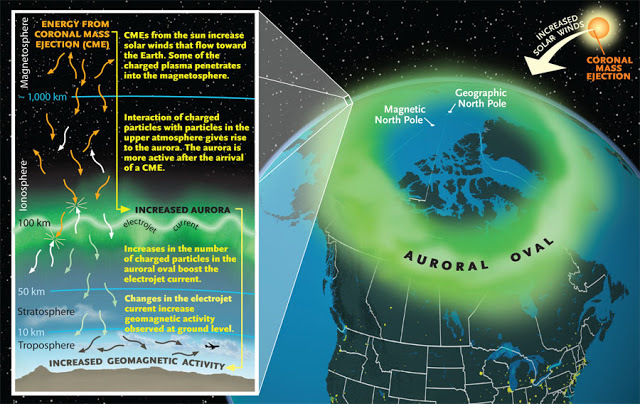 It's a long way from Vancouver to see the Aurora Borealis (even further if you want to see the Southern one called Aurora Australis) and people come from around the world (particularly Asia) where it's considered good luck if you see the lights. There's never any guarantee but, when it does all come together, you feel very privileged. It's a national treasure and it's free, no wonder so many folks are beginning to see the light. 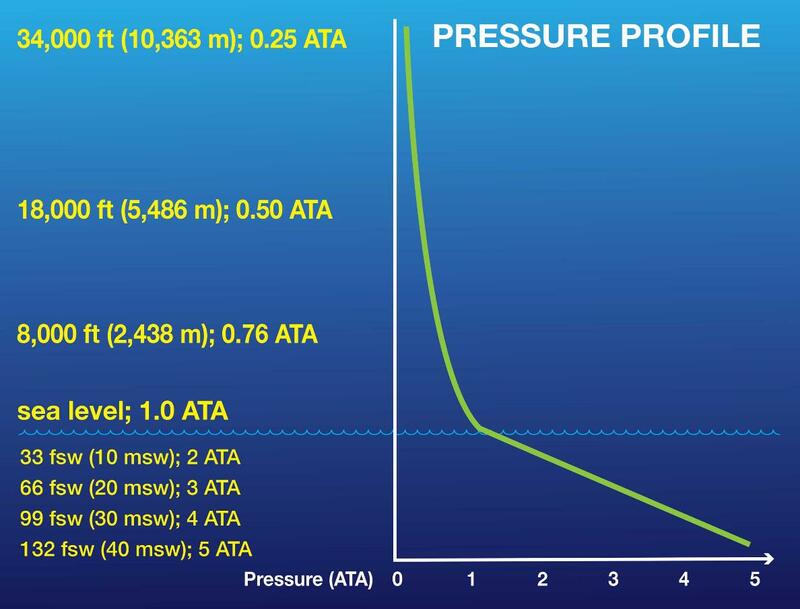 The one thing that affects all scuba divers, regardless of the water temperature, is pressure and the deeper they dive the greater is the surrounding pressure their body has to face. At sea level the atmospheric pressure (ATM) is only 1 but every 10 metres or 33 feet deeper adds another ATM. The deeper you go the faster you consume your air supply because at 2 ATM you are inhaling twice the number of air molecules as you would at the surface and, at 4 ATM, or 30 metres deep, each breath is 4 times what you would at the surface. Understanding how the body reacts to all this pressure is the key to safe diving. 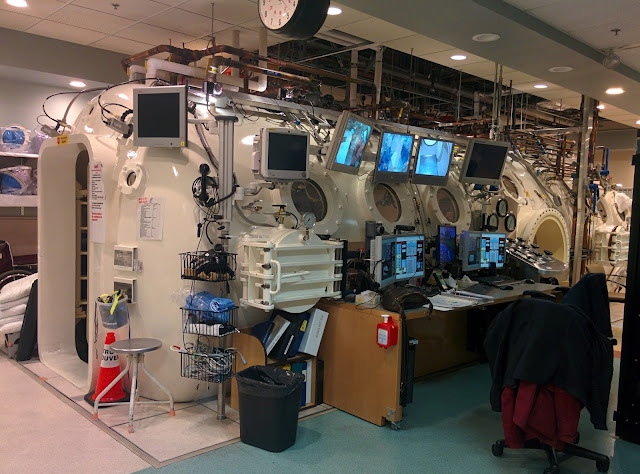 Pressurized air in a scuba tank still contains the approximate 79% nitrogen and 21% oxygen we are accustomed to breathing on land. However, during a dive, the body tissues are absorbing nitrogen in proportion to the surrounding pressure, which is anywhere from 2 to 5 times more than normal depending on depth. 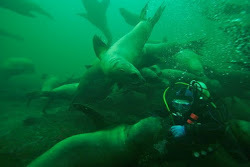 As the diver ascends and the pressure decreases the excess nitrogen will slowly leave the body (off gassing) but if the pressure is reduced too quickly the nitrogen will form bubbles in the tissues and bloodstream causing decompression sickness or what is referred to as the "bends". There are two types of decompression sickness (DCS) with Type 1 usually characterized by musculoskeletal pain in the joints and mild skin itching and rashes. 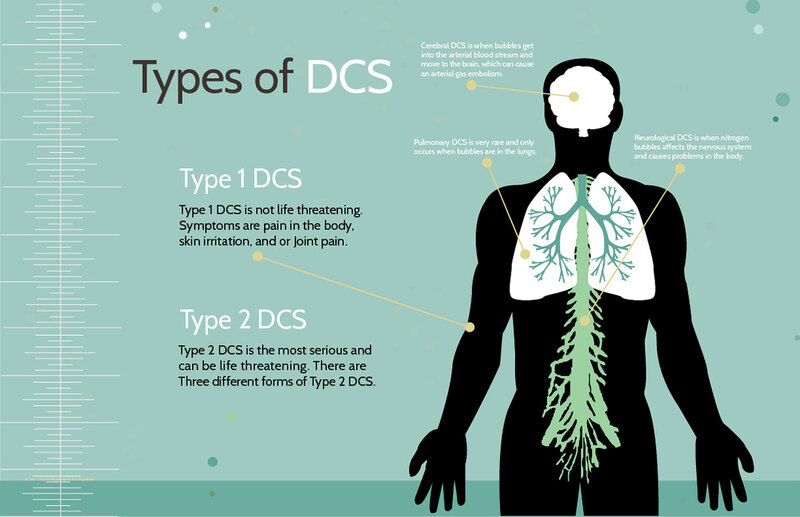 Type 2 on the other hand is much more serious and life threatening as it can affect the lungs, spinal cord or brain and the symptoms include difficulty with bladder control, and numbness and paralysis in the legs. 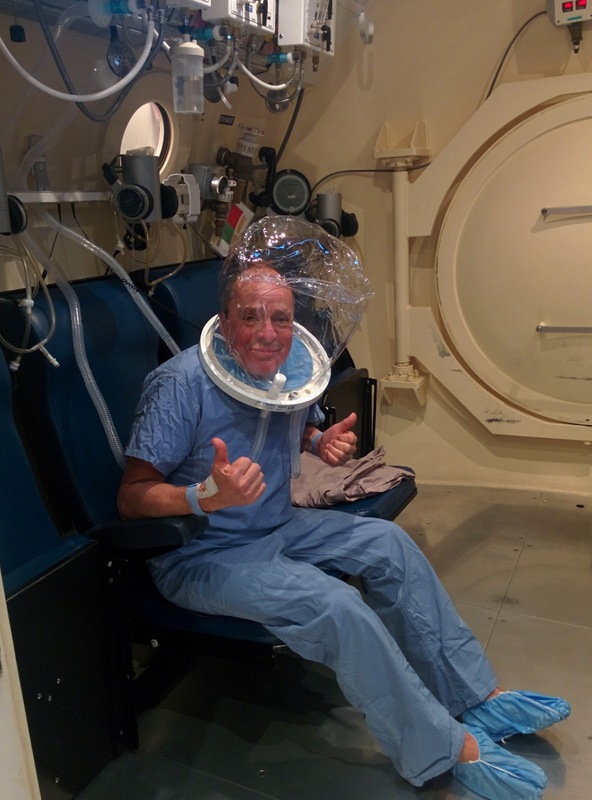 The only treatment for DCS 2 is hyperbaric oxygen therapy delivered in a recompression chamber. Getting the bends and having to go to the "Chamber" is every diver's worst nightmare. 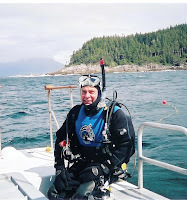 Unfortunately for me I came down with DCS 2, following an otherwise very pleasant day of scuba diving in Howe Sound with my friends and the good folks at Sea Dragon Dive Charters this past weekend, and had to be taken by ambulance to the "Chamber" at Vancouver General Hospital. Luckily a hastily gathered team of 5 specialists were there to make me comfortable and put me through the standard regimen of being taken down to the pressure of 2.8 ATA, or 60 feet below sea level, and given pure oxygen to breathe for a session that lasted just over 7 hours. As I sat in my chair watching movies I could feel the nitrogen slowly leaving my legs, and I happily began to regain all normal feeling, but I wasn't out of the woods yet. 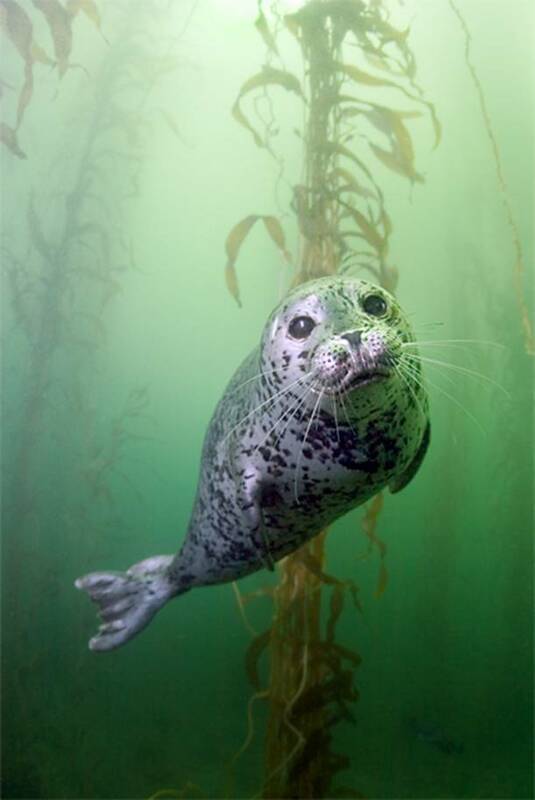 While I appear to have avoided serious permanent injury it will be 6 months before my recovery can be properly assessed and I may never be able to go scuba diving again. 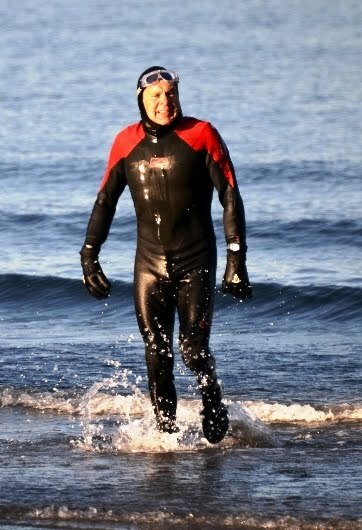 How and why the nitrogen built up to such an extent in my bloodstream is something I'm still examining from my dive profile, but there's no arguing with the physiology and the frightening power it had to bend and shape me.